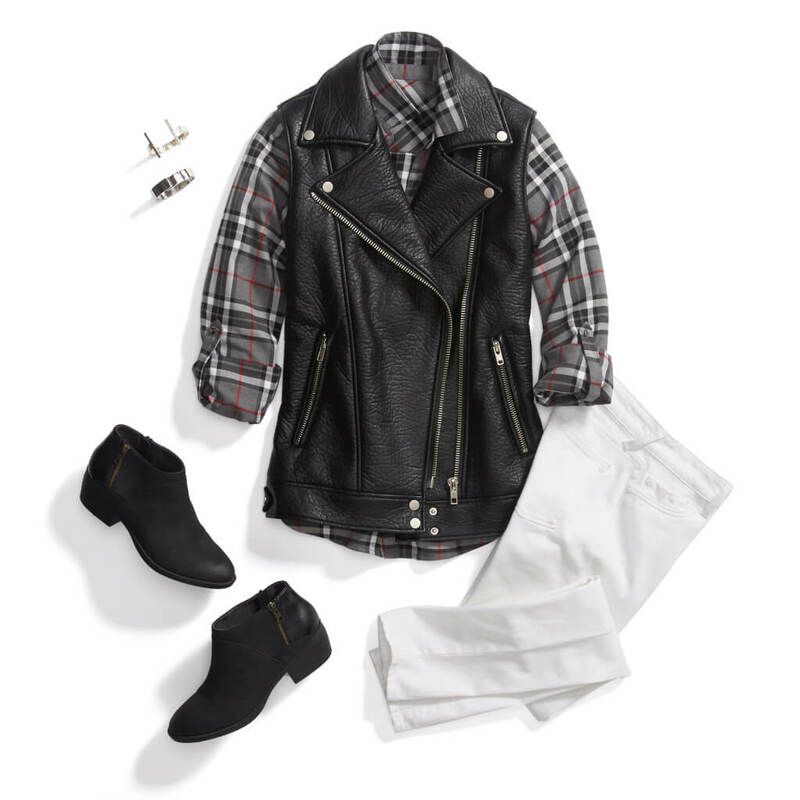 A stylish leather moto vest is a great closet addition this spring. It’s classic, versatile and never goes out of style! But when you’re looking to add a girly touch to your edge ensemble, try pairing it with ultra feminine separates and fabrics. A fit-&-flare dress, pencil skirt or bright white jeans are a great place to start. A silk blouse or lace top are other great on-trend options to balance out the edginess of the jacket with a perfect hint of femininity.